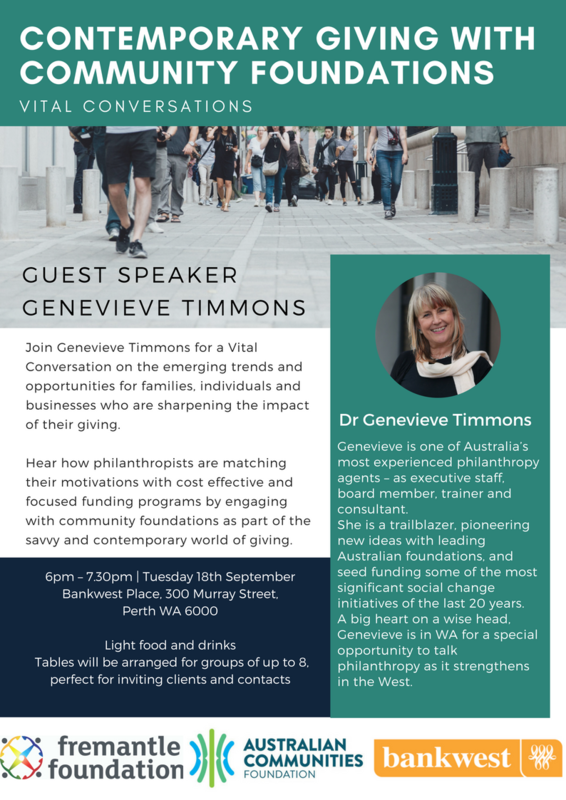 It’s with great pleasure that we invite you to join us for a special event in Perth to hear from Genevieve Timmons, one of the most beloved figures in Australian philanthropy. Hear from Genevieve’s extensive experience on how philanthropists are matching their motivations with cost effective and focused funding programs by engaging with community foundations as part of the savvy and contemporary world of giving. This free evening event is perfect for everyone – from Named Fund donors to Professional Advisers and people interested in learning more about philanthropy. Individual and group bookings of 8x people are available. Fremantle Foundation is proud to partner with Australian Communities Foundation to bring you this unique opportunity, generously hosted by Bankwest. Please see all the details below and follow this link to RSVP. 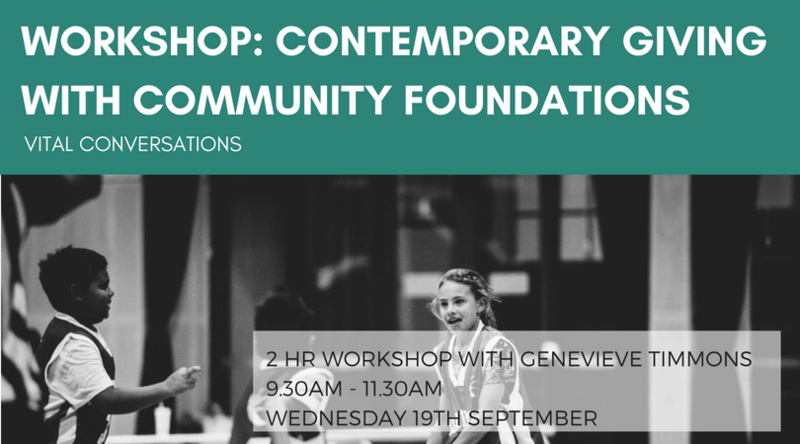 While in town, Genevieve will also be facilitating a special 2 hour deeper dive into contemporary giving through community foundations. Join donors of the Fremantle Foundation for this in-depth session and take the next step with your philanthropy. This workshop is delivered in partnership with Australian Communities Foundation.